After just four months, Patrice is convinced of the benefit of this program. “I’m waiting to get assigned to more families,” she said, so she shares Welcome Baby information with her friends and neighbors in hopes that those with young children will sign up to receive visits. She’s even able to direct the parents she visits to resources for their older children, such as the free UPSTART online preschool program. Patrice is new to Welcome Baby, but not new to United Way. For years, she has been participating in her workplace giving campaign at UPS, including helping to organize and motivate her coworkers. 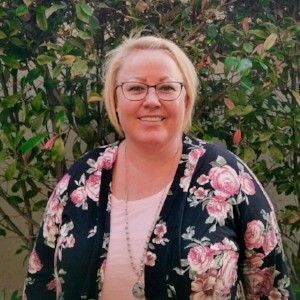 She heard about the Welcome Baby volunteer opportunity through an email newsletter and was excited to make the connection between her payroll donations to United Way and the program right in her community. 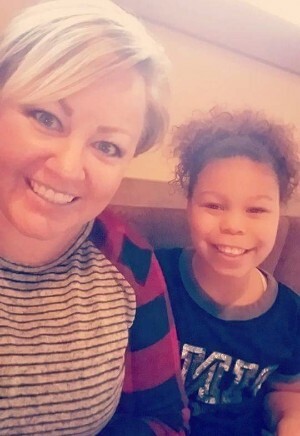 She made another surprising connection a few years ago when her daughter was receiving one-on-one reading tutoring in elementary school. “I knew she was getting help with reading but I didn’t know it was connected to United Way,” she said. The AmeriCorps Read.Graduate.Succeed. program currently serves six schools in Box Elder School District with the support of United Way of Northern Utah. Patrice also discovered that the adoption agency that helped her adopt her daughter was supported by the local United Way in that area. Patrice’s excitement is evident as she explains she wants to give back “since I’ve unknowingly benefited so much from these programs.” She continues to spread the word among coworkers, friends, and neighbors, helping others see how they can get involved because “I didn’t know how much United Way was helping my community,” she said. Thank you, Patrice, for all you do to LIVE UNITED in your community.